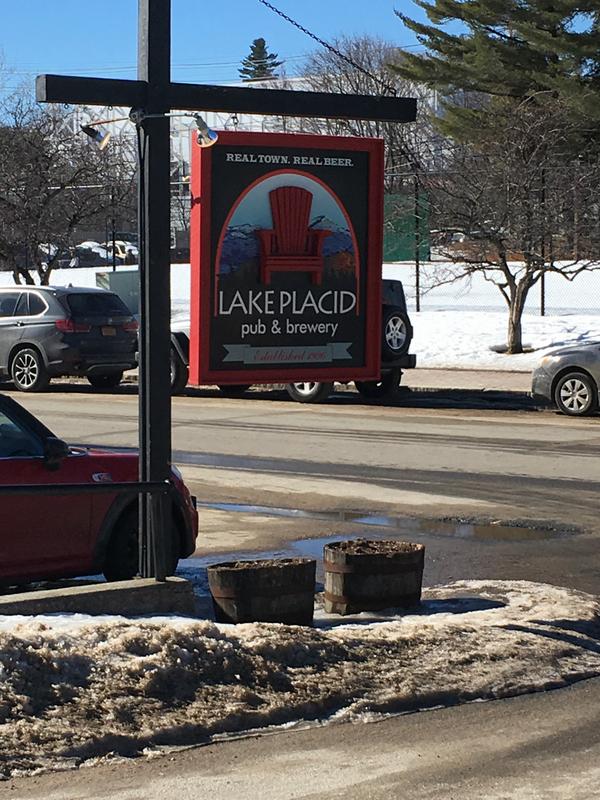 We recently took a very quick trip to Lake Placid. Despite our lack of excitement for organized sports in our household, we are fans of the Olympics! 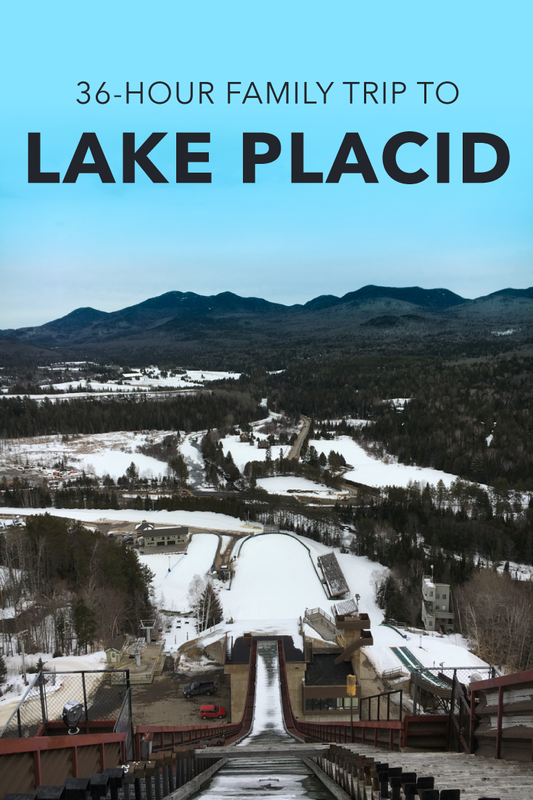 And although I grew up a mere 5-hour drive from New York State’s own quaint Olympic town, I had never been to Lake Placid until just a few months ago. In fact, there are dozens of world-famous, landmark places in New York State I’ve never been to! I could have a bucket list dedicated to just exploring New York State. 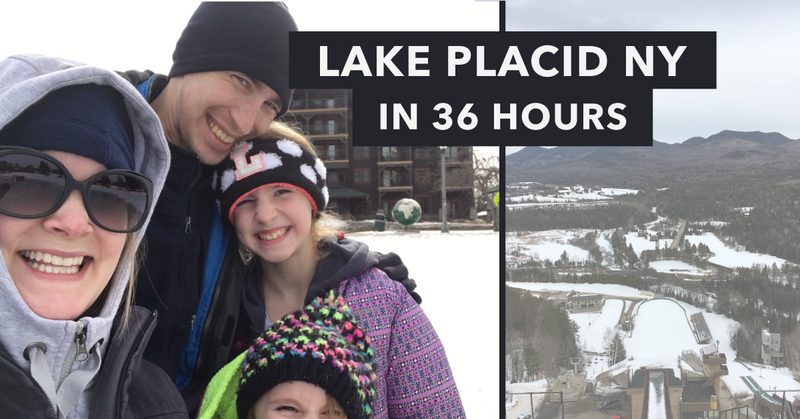 This past February, I convinced my husband we should take a quick family trip to Lake Placid to explore the sites and chill. Chilling is an obvious requirement in February in the Adirondack Mountains. 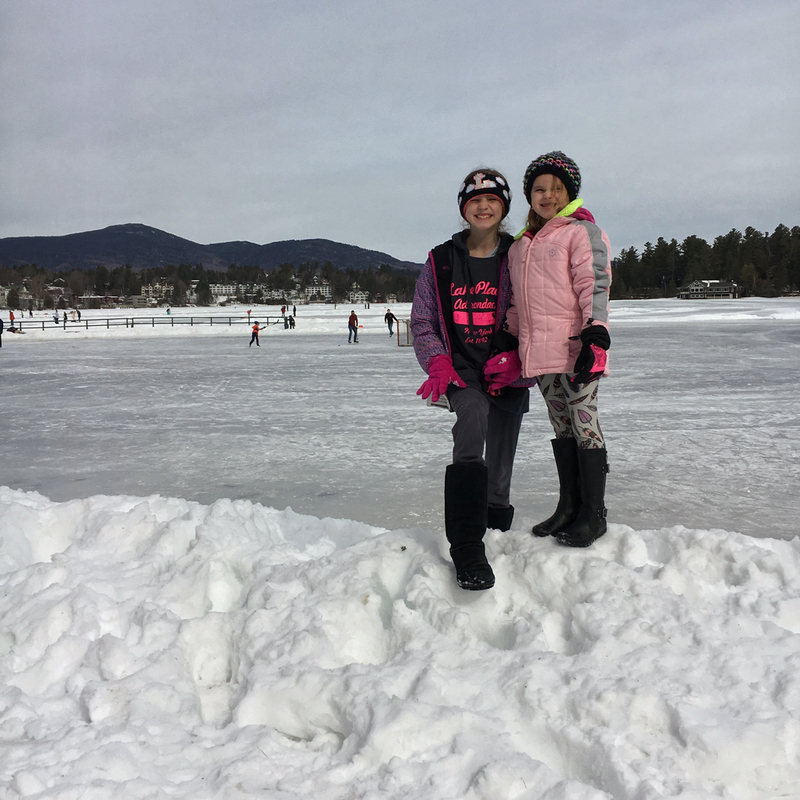 We spent two nights at a hotel overlooking Mirror Lake, and we enjoyed watching people play hockey and ice skate all day long and even into the night. The town has a Zamboni that operates daily! They have a handful of little hockey rinks and skating areas along the south end of the lake, and it looks like they clear a path going around the perimeter of the lake as well. What a way to exercise… instead of going for a daily walk, you could go for a daily skate! Here are some highlights from our trip which I shot on my GoPro Hero5 Session. I edited this video with iMovie, as I was creating my iMovie Course–Strikingly Simple Edits with iMovie. 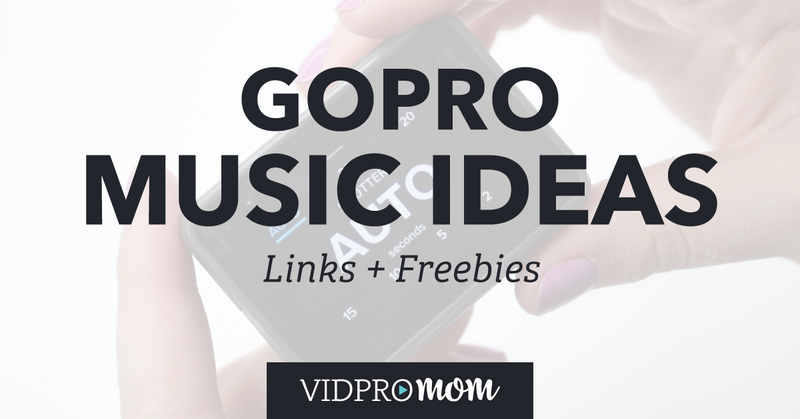 Do you shoot family videos when you’re out and about? It’s one of my favorite hobbies! And iMovie is a pretty awesome piece of software if you’re a Mac user. Check out some of my tutorials here. Our hotel was the Hampton Inn, and it’s right next door to the Lake Placid Pub & Brewery, which was a very busy, but nice restaurant. After we got some lunch and settled into our hotel, we walked to downtown Lake Placid which is such a cute little town. It was great that it was a short walking distance from our hotel. I wish I had taken more photos but you can see from my video that we had a good time. One of my favorite things was when we went to the Olympic Jumping Complex! This was really cool. 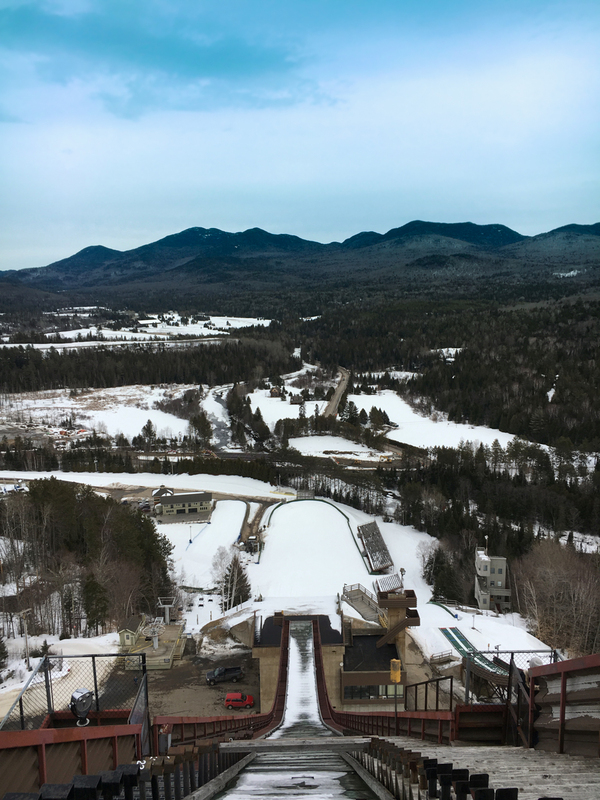 Lake Placid has two big ski jumps, and we rode the elevator up to the top of the 120 Meter Jump — it’s 26 stories tall! This was my kids first time on a ski lift so it was a great experience for everyone. You can actually stand on a platform (with a railing!!) right in the center of the jump, so you can look straight down. It’s really neat up there, and I can’t even imagine speeding down this thing on skis. Neither of the jumps was open for actual skiers. Yikes! This was an awesome experience to be up this high. Amazing views! 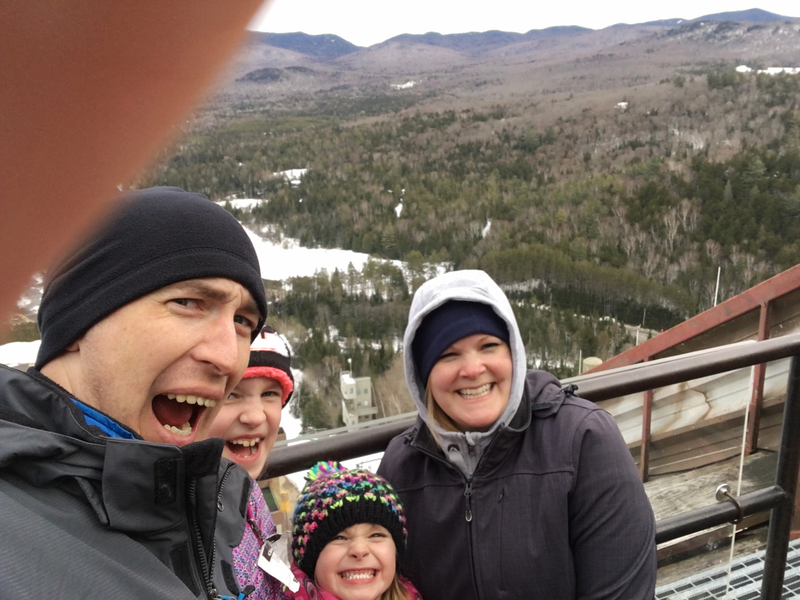 After the trip to the top of the ski jump, we ate lunch at Big Slide Brewery & Public House which was really neat. Great good and a unique atmosphere. We packed a lot into just 36 hours and it was definitely worth the 5-hour road trip. We’ll probably go back sometime in the summer to hit up the bobsled and maybe do some hiking. Are you on Pinterest? Make sure to pin this post so you can come back later! 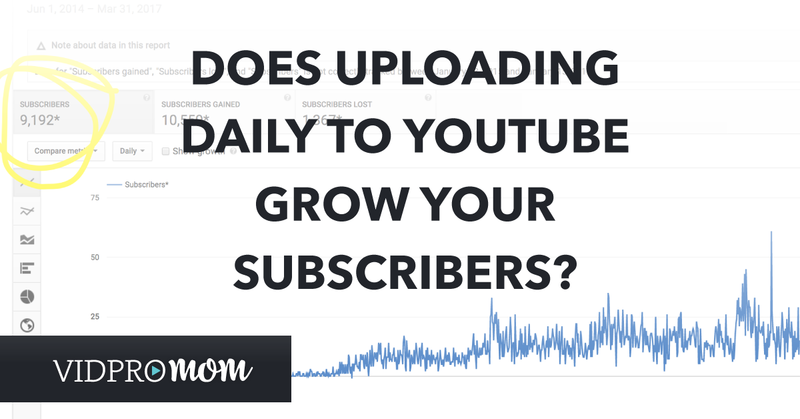 Previous Post: « Does Uploading DAILY on YouTube increase your subscribers?